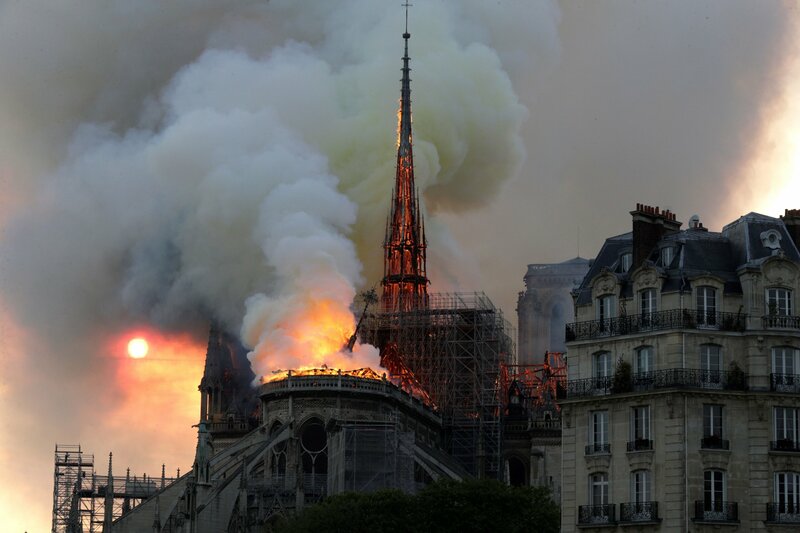 “Everything is burning, nothing will remain from the frame,” Notre Dame spokesman Andre Finot said, according to the Associated Press. The Paris police department said that nobody had died and did not say whether injuries had occurred. Firefighters rushed to save the art inside the building, which holds a number of historic pieces. Initially they had difficulty reaching the cathedral because of rush-hour traffic. Witnesses described ash falling from the sky.